The Terra Pacer is an ESD (anti static) rated safety trainer. Terra Firma-Flex® metal free technology provides protection in the toe-caps & midsole. 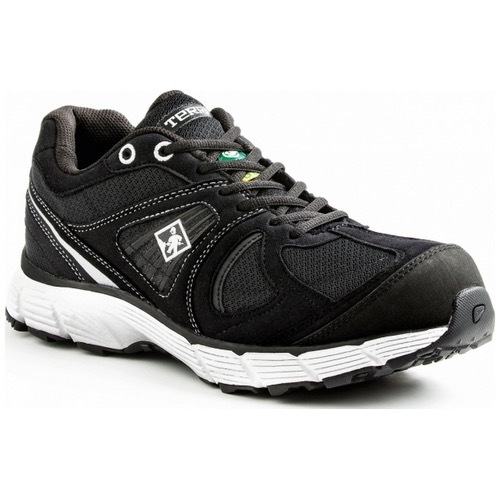 With a microfibre & mesh combination upper, supported a rubberised toe bumper & a high traction rubber outsole unit. This is an athletic style safety trainer suitable for a variety of trades. Composite toe-cap and midsole plate protection. Terra Firma-Flex® (metal free technology). Lightweight & perforated EVA Footbed. Microfibre with chain style mesh.